Everybody knows Washington wants to get rid of people currently in power in Iran. But who is the better alternative to mullahs? Some top US officials say it’s this death cult hated by pretty much everyone in Iran. 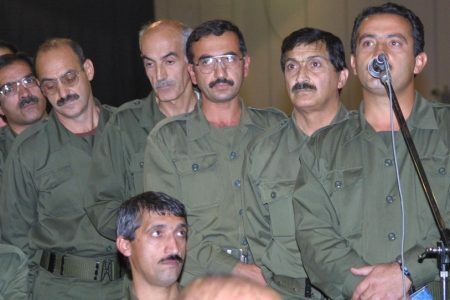 Meet People’s Mujahedin of Iran, also known as the MEK, whose recent gatherings were graced by the likes of Donald Trump’s National Security Advisor John Bolton and the US president’s lawyer Rudy Giuliani. Quite a guest list for an organization that started as an Iranian Marxist-Leninist armed group trying to oust the US-backed shah along with the Ayatollah. After falling out with the new government in Iran, the MEK started a campaign of bombing and assassinations of loyalist officials. Then they got kicked out of the country and found refuge in Saddam Hussein’s Iraq. During the war between the two countries, they fought against their own countrymen. 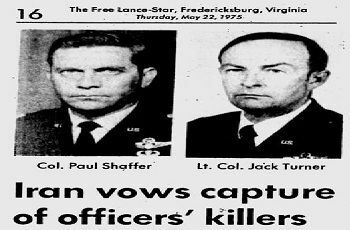 More recently, MEK members were helping Israeli intelligence assassinate Iranian nuclear scientists. So, you may guess how big of a supporter base they have in Iran now. 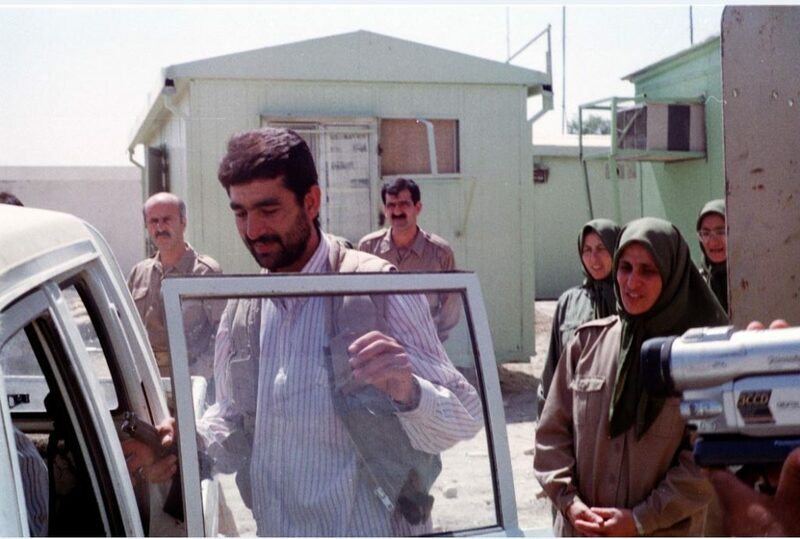 As the MEK’s supply of fresh recruits dwindled, it transformed into a bona fide cult centered around its charismatic leader Massoud Rajavi and his wife Maryam. Members were forced to observe celibacy, divorce spouses and cut all contacts with family. Would-be troublemakers or potential escapees were subjected to beatings, outright torture and disappearances. Enter US troops – and the MEK gets revitalized with new combat training, protection and the privilege of not being on the US’ terrorists list, thank to Hillary Clinton’s State Department. Their past sins against Americans whitewashed, they are now treated by Washington as a legitimate group and pretty much the only viable replacement for the Iranian government. 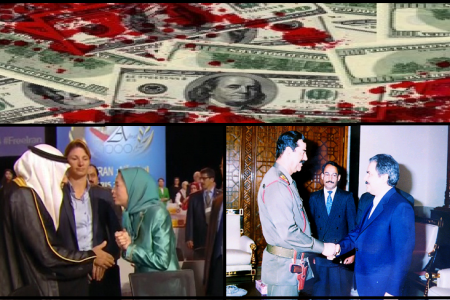 Across the political aisle, US politicians put more money in their coffers – which conveniently allows MEK fake popularity by hiring crowds of bored spectators to attend their events. Watch the FULL REPORT by Rania Khalek on MEK and how it fits Washington’s plan to squeeze and strangle Tehran no matter the costs for Iranians. A UK-based Iranian TV station is being funded through a secretive offshore entity and a company whose director is a Saudi Arabian businessman with close links to the Saudi crown prince Mohammed bin Salman, the Guardian can reveal. The disclosures are likely to raise concerns about the editorial independence of Iran International, and comes at a time of growing fears about a number of Saudi-linked stations operating across London. 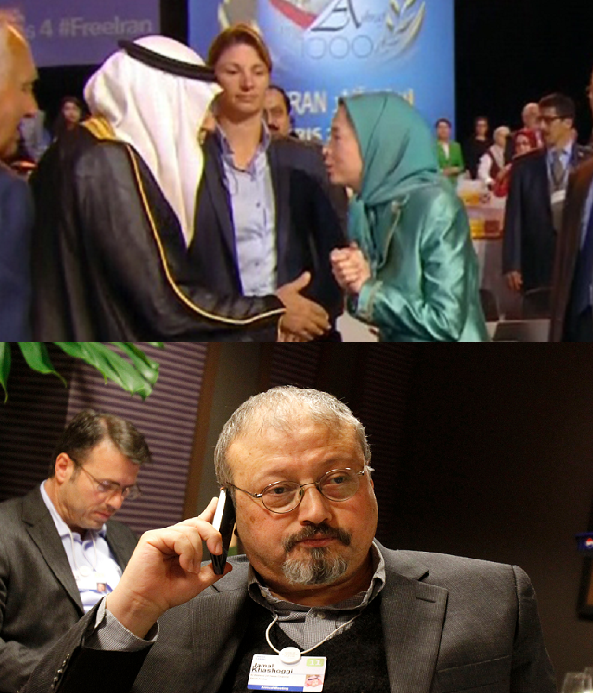 A source has told the Guardian that Prince Mohammed, who many believe is responsible for the murder of the journalist Jamal Khashoggi, is the force behind Iran International. The station, which is operating out of Chiswick, has not denied claims that it receives its funding from the Saudi royal court. Iran International TV emerged abruptly on the London media scene last year; many of the 100-strong staff network were offered generous salaries, often double what rivals paid, but was elusive about its source of funding. Millions of Iranians frustrated with a state broadcaster hobbled by censorship watch satellite channels via illegal rooftop dishes. London has become a hub of such exiled Iranian channels, which also include BBC’s Persian service and Manoto TV, which has broadcast Iranian versions of The X Factor and Come Dine With Me. The source claimed Saud al-Qahtani, the crown prince’s information tsar, who was among two senior officials removed in connection with theKhashoggi affair, was involved in the funding behind Iran International TV. “You could have a larger picture about how those kids [Saudi media moguls] with that money being thrown around [by Prince Mohammed] trying to change the world by buying media … It is money coming from the royal court,” the source said, when speaking about the crown prince..
Iran International said any suggestions that the network was involved in some type of wrongdoing, or was subject to inappropriate influences or was not editorially independent were without foundation. While Saudi Arabia shows zero tolerance for criticism of its absolute monarchy, as underlined by Khashoggi’s murder, it is setting up media organisations in other languages promoting free speech, particularly about Iran. Employing a wide range of people in the Iranian diaspora, including human rights activists, Iran International has not disclosed any Saudi Arabian funding links to its staff of many Iranian nationals, potentially putting their families in Iran at risk. 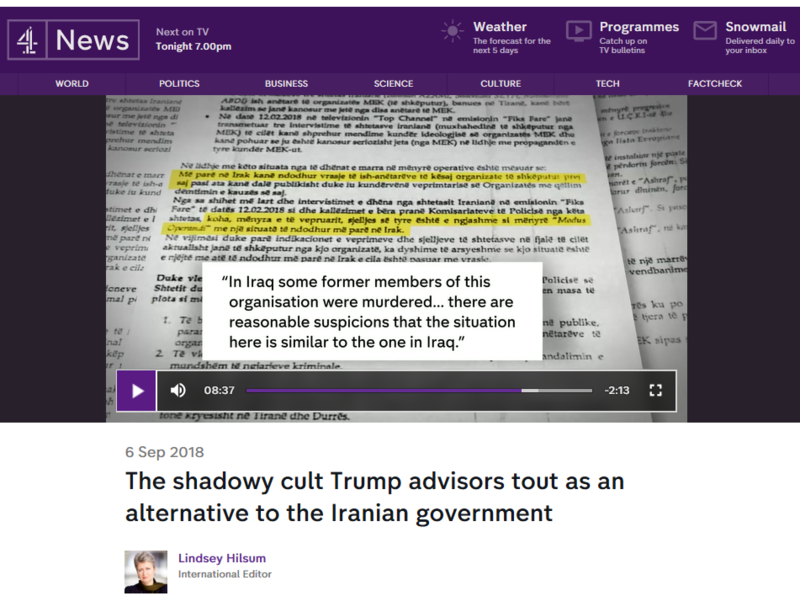 Earlier this summer, the station was criticised for airing extensive live coverage of a rally by the Mujahedin-e-Khalq (MEK), a cult-like organisationthat espouses regime change and has links to Saudi Arabia. Senior Trump administration officials, including John Bolton, are advocates of the group, which was listed as a terrorist group in the US until 2012. 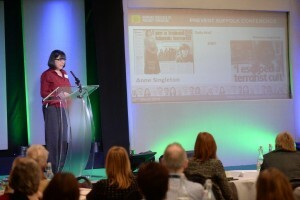 The insider claimed the editorial content of the station had been influenced by its secret investors who were hidden behind an offshore Cayman Islands company. 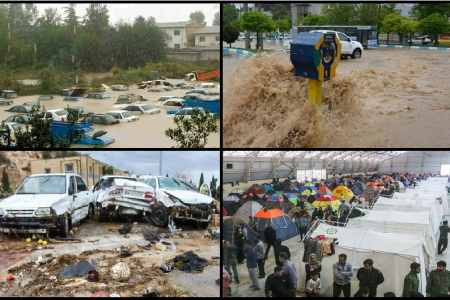 The MEK coverage, the insider said, was one such example. Ofcom has recently scrutinised Iran International for giving airtime to the spokesperson of a group that praised a terrorist attack in Iran last month. Volant Media, the company that runs Iran International, has a director named Adel Abdulkarim, who is a Saudi national. He has had a long working relationship with well-connected Saudi executives, some of who have links to the royal court, including Abdulrahman al-Rashed, who sits on the board of Saudi Research and Marketing Group (SRMG), the largest publishing company in the Middle East. Multiple sources claim Rashed, who is the former general manager of the Saudi-owned news channel Al Arabiya, was also involved in the operations and funding behind Iran International. Nabeel Al-Khatib, a consultant working with Iran International, has been described by its editors to staff as supervisor of the station or representative of the investors. 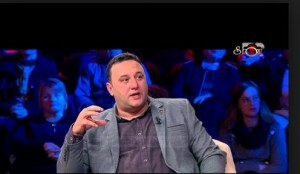 It has been claimed Iran International editors have used Khatib’s Palestinian nationality to remain evasive about the channel’s Saudi funding. The Guardian has seen leaked documents that suggest he raised questions and offered input into Iran International’s coverage of human rights in Saudi Arabia, as well as suggesting certain story ideas, particularly related to Iran and Saudi Arabia. 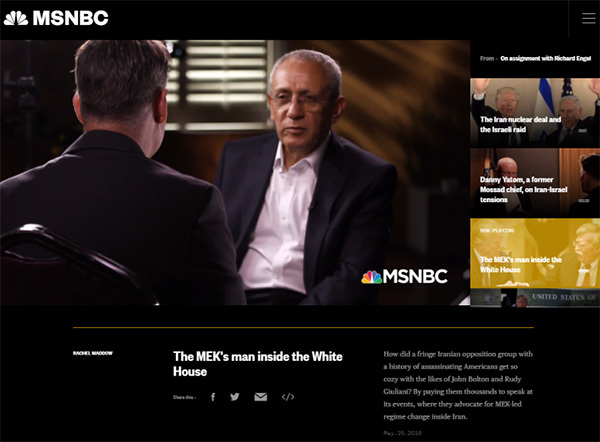 Khatib denied influencing editorial decisions and said he was an independent consultant who offered services to broadcast companies around the world. Last month, Khatib emerged as Bloomberg Asharq project director in a deal signed between Bloomberg and SRMG. According to one source, Saudi Arabia gave $250m (£197m) in funding to help the launch of Iran International, which runs no commercial advertising. The source did not give a timeframe, but a scrutiny of its office’s rent and employee salaries points to an initial five-year period – $50m per year. Volant Media lost £26m in 2017, according to accounts filed on 4 October. One former employee said many staff were stuck between a rock and a hard place. “They have realised they have not been told the truth about the Saudi paymasters behind the station but at the same time they can’t afford to resign or leave their job instantly for fear of incurring repayments under their contracts. Some rely on the television’s visa sponsorship to be able to continue living in London,” the former staff member said. Gary Sick, who served in the US national security council under the Carter administration, said both Iran and Saudi Arabia were making active use of media in their regional rivalry. “Iran’s Press TV is full of negative stories about the Saudi leadership, and official (and unofficial) Saudi media portray Iran as the single greatest source of instability and terrorism in the Middle East,” he said. Rob Beynon, the acting head of the television station, did not deny that funding for it came from the Saudi royal court. 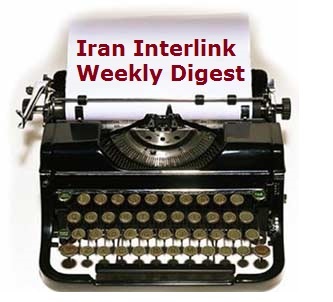 “[Iran International] provides news for all Iranians, in Iran and in the diaspora, reflective of the widest range of opinions. Our output is governed not by any external individuals but by our editorial guidelines, which are published in English and Farsi on our website,” Beynon said. 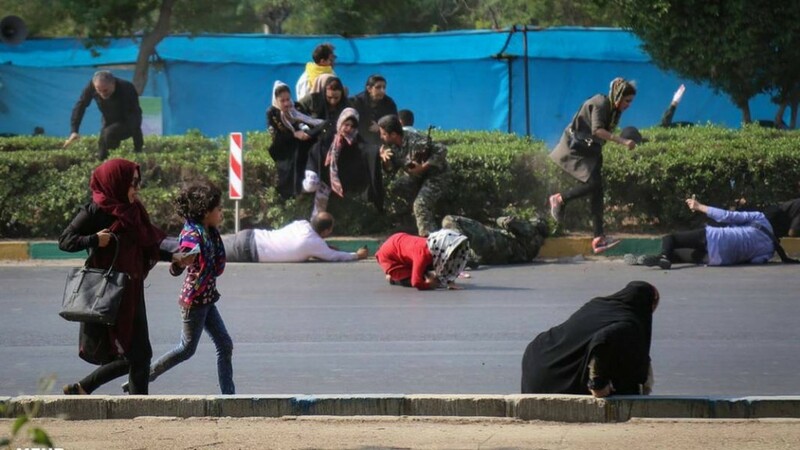 Agroup of terrorists opened fire at the soldiers in the military parade and the crowd, which included women and children where at least 25 people were killed and 55 others wounded according to IRNA news agency. According to Tasnim new agency, the terrorist group infiltrated the back position of the military parade and from that position fired shots at the ceremony. The terrorists could not penetrate the ceremony but fired from a distance, where they initially targeted the memorial platform where high profile attendees were sitting and Islamic Revolutionary Guards Corps, fleeing after they opened fire. 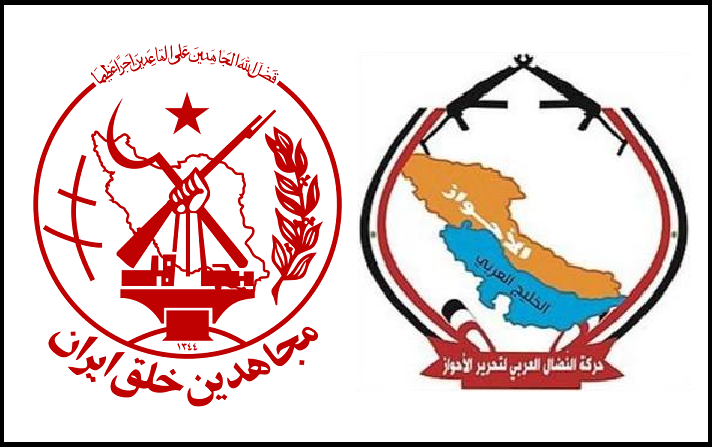 Ali Hussein Zadeh, assistant of the head of political affairs in Khuzestan province, told Tasnim news agency that four terrorists carried out the attack, adding “the number of martyrs is increasing and the condition of some of the wounded is critical”. Meanwhile, the Iranian FARS news agency quoted an informed source as saying that two terrorists were killed and another wounded while a fourth was arrested by security forces during the terrorist attack in the city of Ahvaz. President of the Islamic Republic of Iran, Hassan Rouhani said on Sunday that the terrorists who carried out the Ahvaz terrorist attack on Saturday had received support from neighboring countries in the Persian Gulf, stressing that those involved in the terrorist attack will not escape punishment and that Iran’s retaliation will be crushing. Rouhani said in a speech on Sunday that he would leave Tehran for New York to participate in the UN General Assembly, saying Iran will not go easy on the Ahvaz’s crime, pointing out that the US administration is behind these young mercenaries. “We know who committed the crime of Ahvaz and who is behind them, and we will respond to the crime in accordance with the laws and interests of the country”, Rouhani reiterated. As the word governments condemned this act of terror against the Islamic Republic of Iran, the US administration and its regional gulf puppet KSA and UAE kept silent. This muffled stance was in divergence to that of other nations, which offered their sympathies to the victims and condemnation of the attack, with several ambassadors in Tehran writing personal messages, while leaders such as Russian President Vladimir Putin and President Bashar Assad released official statements. The aggressors are a terrorist organization backed by Washington and Tel Aviv and funded by Saudi Arabia under the name of “Ahwazia”, an extremist ethnic terrorist organization that claims to defend the rights of Arab Iranians. 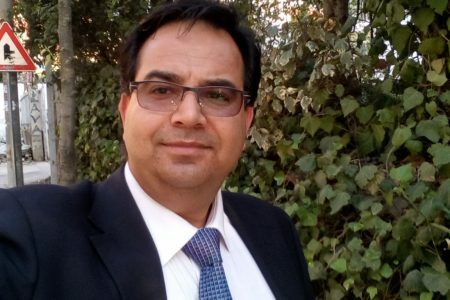 Iranian researcher Dr. Mohamed Sadiq al-Husseini wrote that according to Iranian intelligence sources revealed that the terrorist attack of Ahvaz city was conducted in coordination between the “People’s Mojahedin Organization” of Iran or the “Mojahedin-e Khalq” [MEK] and the “Ahwazia” an Arab-Iranian separatist group with alleged connections to Saudi Arabia, also known as the “Ahvaz National Resistance”. This link would directly put the US on top of the list of suspects who most probably have incited these terrorist attacks against Iran. Keeping in mind that that the MEK, an Iranian cult of highly suspicious funding which is beloved by Trump insiders like John Bolton and Rudolph Giuliani for its extremely vocal pro-regime change agenda, was removed from the US State Department’s list of designated terrorist organizations by none other than Hillary Rodham Clinton. After its extensive lobbying campaign in Washington in 2012, Hillary Clinton de-listed the Iranian dissident MEK, from the State Department’s terror list. In the current US administration, there are even much more aggressive support for the MEK represented by none other than the warmongering John Bolton. Bolton has also long backed the cult-like terrorist group despite the fact that the MEK has been held responsible for the murder of multiple American military personnel, a kidnapping attempt of a US Ambassador, and other violent attacks in Iran before the 1979 Islamic Revolution. The MEK was based in Iraq during the regime of Saddam Hussein, who provided arms, financial assistance, and political support. 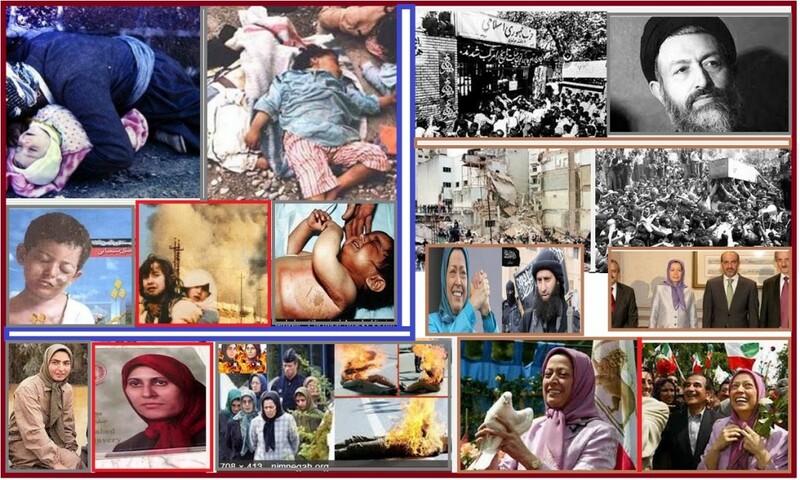 In 1997, it was among the first groups cited on the US list of foreign terrorist organizations. However, as it was removed from that list by Hillary Clinton in 2012, Bolton has since spoke at an MEK rally in 2017, for the eighth time, in Paris. 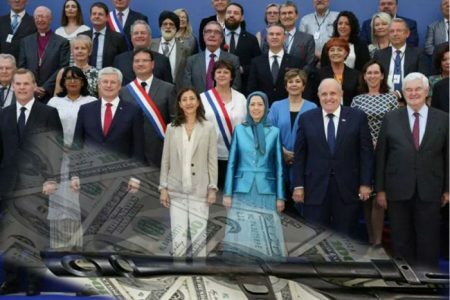 Other speakers at MEK rallies have reportedly been paid tens of thousands of dollars for their appearances. US President Donald Trump’s rhetoric about supporting the Iranian people has always been void, but promoting someone with Bolton’s views and connections to the highest level of government shows just how devious that rhetoric is. 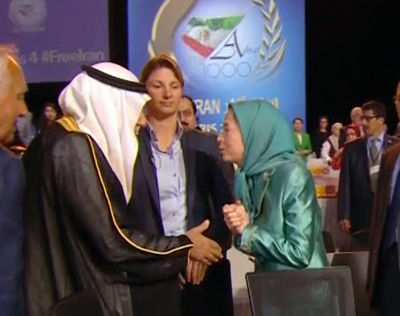 Whenever Bolton talks about supporting “the Iranian opposition,” these cultists are the people he’s talking about. When he talks about regime change in Iran, he thinks these are the people should take over. To date, no American MEK booster has risen as high in the government, but now the group will have an admirer advising the controversial US president on a daily basis. 1) The elements carrying out the armed terrorist attack on the military parade were trained in a Saudi camp southeast of Riyadh specialized for training members of the People’s Mujahideen MEK and other Iranian opposition groups. 2) The training is conducted by Jordanian and Saudi officers under the supervision of US Central Intelligence generals and “Israeli” generals. 3) All camp operations and needs are funded through the Saudi Ministry of Defense. The funding includes the transfer of Iranian elements from European countries, especially from Albania to the Saudi run camp. 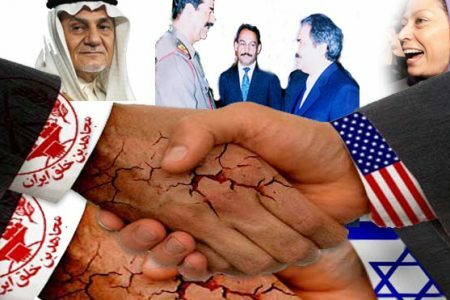 4) CIA and Mossad elements manage operational tasks, such as moving terrorists and weapons into Iran through commercial companies and non-governmental organizations located in Iraq’s Al-Basra city. 5) The CIA and Mossad assets in Al-Basra have nothing to do with training and their responsibilities are limited to logistics. 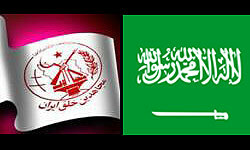 Recently, Beirut based Al-Manar TV channel revealed reports that training for the elements of the MEK is taking place in Western countries, “Israel” and in special camps inside Saudi Arabia, and terrorist cells are being moved to incite acts of terrorism against Iran through demonstrations and protests funded by intelligence agencies in those western countries. According to these reports, leaders of MEK have met several times with “Israeli” security officials inside and outside “Israel”. US officials, including the current national security adviser, have no illusions about the MEK’s disingenuous propaganda lines about seeking democracy or enjoying support inside Iran. They know very well how despised the MEK is in that country. Unlike other Iranian opposition groups, however, the MEK can mount military operations. Its members are experienced in sabotage, assassinations, and terrorism, as well as in guerrilla and conventional warfare. Hence, they possess qualities that are extremely useful for the US’s strategic objective to cause either regime change (by invasion) or regime collapse (by destabilization). In other words, for Washington’s anti-Iran neocons, the MEK is not needed to replace the current government and Supreme leader in Iran; it just needs to assist its desired collapse with Saudi funding. 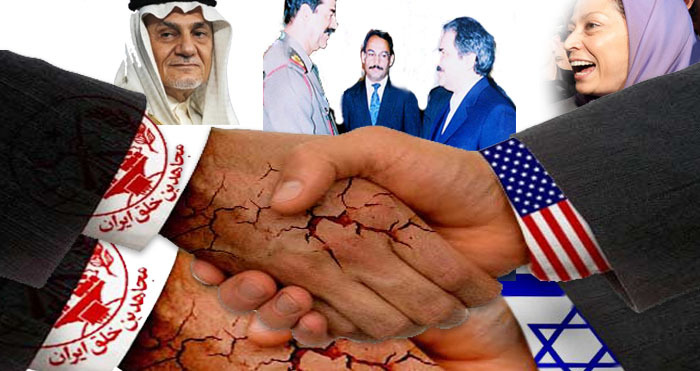 After all the losses incurred by the US foreign policy in the middle east due to incompetent regional allies, the US’s wishful thinking that ensuing chaos would weaken Iran and shift the regional balance of power toward US allies like “Israel” and Saudi Arabia, will only trigger a wave of more losses that will accelerate the demise of the US puppet regimes in the region. Ofcom is investigating a UK-based Saudi-linked television network after it gave airtime to the spokesman for an extremist separatist group who praised last month’s terrorist attack in the Iranian city of Ahvaz, which killed at least 24 people, including children. The investigation by the media watchdog highlights the growing influence of Saudi-linked stations operating from London, which is increasingly becoming a key media battle ground for the proxy wars in the Middle East. 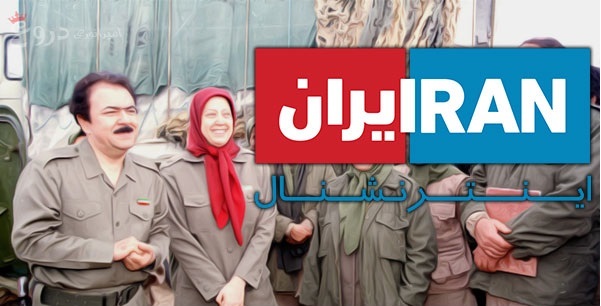 Iran International TV, based in Chiswick, west London, was the first Farsi language media organisation to interview Yacoub Hor al-Tostari, a spokesman for the Arab Struggle Movement for the Liberation of Ahwaz, after the 22 September attack. 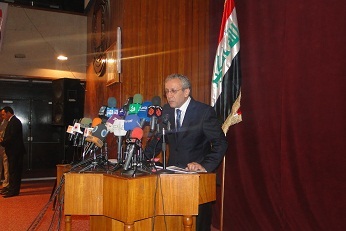 Tostari said the National Resistance of Ahvaz, an umbrella group linked to the Struggle Movement, had carried out the attack, and praised the killings, later condemned by the UN security council as a “heinous and cowardly terrorist attack”, which he said had hit “legitimate” military targets. “Today’s operation was carried out by the National Resistance of Ahvaz against legitimate targets, which are Revolutionary Guards, and military members of the Islamic Republic,” he said. Tostari’s group later backpedalled on the claim. The Ahvaz attack has also been claimed by Isis. Ofcom confirmed it was investigating the interview. “We are assessing this news programme as a priority against our broadcasting rules,” a spokesperson said. It has not opened a formal investigation. Iran’s ambassador to the UK, Hamid Baeidinejad, tweeted that the embassy had filed a complaint. Iran International is one of an increasing number of London-based television stations backed by Middle Eastern interests that are trying to influence audiences thousands of miles away. Questions have been raised over the network’s funding and its links to Saudi Arabia, Tehran’s arch-enemy. Many Iranians compared the interview to giving airtime to Isis after a terrorist attack in the west. Rob Beynon, the acting head of the channel, stood by the decision to broadcast the interview and said it had referred to the Ahvaz shooting as a “terrorist attack”. He said his network would comply with Ofcom but said he did not think the interview with Tostari had broken the rules since he said the spokesman did not incite violence. Iran International was launched in May 2017 shortly before presidential elections in Iran. Two other Farsi-language networks, BBC Persian and Manoto TV, are also based in London. Iran International pays generous salaries – one employee said pay was double that offered by competitors – and its 100-strong staff works out of a modern newsroom and studio. Iran International’s licence is held by its parent entity, a company called Global Media Circulating, according to Ofcom’s records. Adel Al-Abdulkarim, one of the company’s two directors, is also a shareholder, and a Saudi national with a history of working with Saudi Arabian media moguls such as Abdulrahman al-Rashed, the former general manager of the Saudi-owned Al Arabiya, and formerly editor-in-chief of newspaper Alsharq Alwsat. A source who has worked with the Saudi crown prince, Mohammed bin Salman, said Iran International’s money came from the Saudi royal court, estimated to be about $250m (£192m). “The money is coming from Saudi Arabia, it is from the royal court,” the source said, questioning whether private investors would risk that amount of money with such a small chance of return. Beynon did not answer questions on the channel’s funding. He said the day-to-day editorial and technical operations of Iran International were managed by DMA Media Ltd, which is a UK news company owned by private UK shareholders. The Guardian has asked Beynon to explain the precise relationship between DMA Media Ltd and Global Media Circulating. This is not the first time Iran International has been heavily criticised. 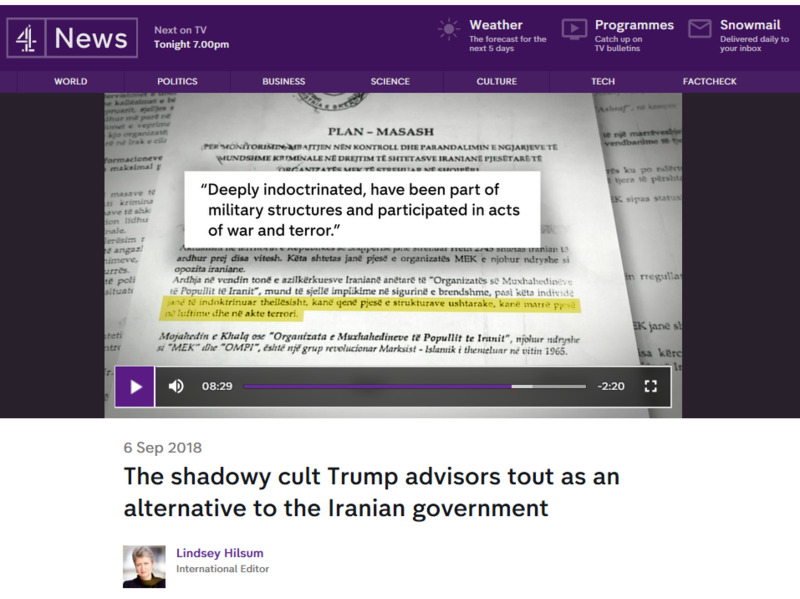 The television previously gave extensive live coverage to a rally by the Mujahedin-e-Khalq (MeK), a cult-like organisation that espouses regime change and has links to Saudi Arabia. The controversy over the coverage of the MeK rally led to the channel ceasing its cooperation with Mehdi Jami, a respected journalist who spoke out on internal discontent over the decision. At least one journalist left the network after the coverage of the Ahvaz attack. Shia-majority Iran and Sunni monarchy Saudi Arabia are engaged in proxy conflicts across the Middle East, including in Syria and Yemen. 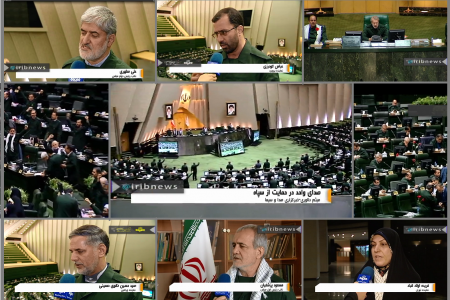 Iran has its own Arabic-language television, Al Alam, which broadcast its own version of events. It is irked by London becoming a hub for exiled channels it views as subversive. Manoto TV is perceived to be close to monarchists, focusing extensively on pre-revolutionary Iran and depicting the era as glamorous. It lost £33m in 2016 and 2017, according to its latest accounts. Manoto has not disclosed its sources of funding since 2012 and did not respond to a request to explain these. 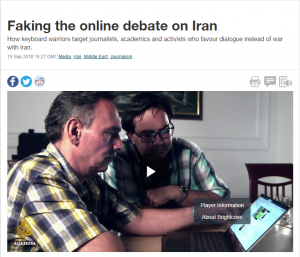 In 2012, Iran’s English-language state-run Press TV was forced off air in the UK after Ofcom revoked its licence for broadcasting forced confessions of a journalist imprisoned in Iran. A former high-ranking MEK official confirmed long-held suspicions that Saudi Arabia has been financing the political-militant group bent on violent regime change in Iran through sophisticated channels to provide the group with valuables like gold and Rolex watches, according to a new report. In an interview with Jordanian news outlet Al-Bawaba Tuesday, a former MEK member who oversaw the transfer of hundreds of millions of dollars’ worth of materials explained how the group has stayed financially afloat. Massoud Khodabandeh explained that 3 tons of solid gold, a minimum of four suitcases of customized Rolex watches and fabric that had been used to cover the Muslim holy site of Kaaba in Mecca were among the commodities shipped from Saudi Arabia to MEK operatives in Baghdad as part of the scheme. From there, the valuables would be sold on the black market in Jordan’s capital, Amman, to Saudi-aligned merchants. “Aided by two Iraqi and two Saudi representatives, Khodabandeh smuggled three trucks filled with gold bars from Saudi Arabia to Baghdad. He estimated that each truck held about a ton of gold, making the shipment’s contemporary worth almost $200 million,” Al-Bawaba reports. After selling the gold, funds would be sent to offshore MEK bank accounts, Khodabandeh said. War hawks in Washington point to the MEK as the most viable proxy force for bringing down the Iranian government. The group doesn’t support within Iran, according to Saeed Jalili, a Tehran-based writer. “I have not heard anyone asking them [MEK] to make a comeback in Iran or anything like that,” Jalili told Al Jazeera in March. “There is a viable opposition to the rule of the ayatollahs. And that opposition is centered in this room today,” John Bolton, once the US ambassador to the UN and now White House national security adviser, said during a speech at an MEK conference in Paris last year. Bolton went so far as to conclude his remarks by predicting the overthrow of the Iranian government by the end of 2018, according to Iranian expat journalist Bahman Kalbasi. 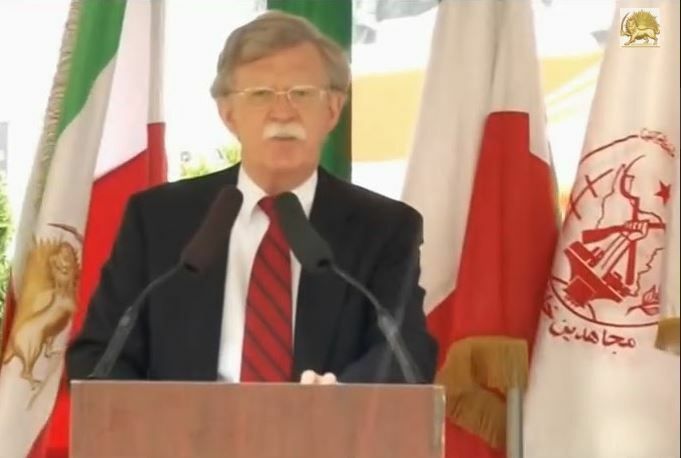 “Any that’s why, before 2019, we here will celebrate in Tehran,” Bolton said to a round of roaring applause. “We resettled a lot of the MEK people from Iraq in Albania,” Daniel Benjamin, the State Department’s counterterrorism coordinator at the time, told Foreign Policy in April. “It became the goal of the US government to get them out of there. That is the reason they were delisted” from the US list of terror groups in 2012. “It happened under the secretary’s authority, not because they had met the requirements for not being a terrorist group,” said Benjamin, who is now director of the Center For International Understanding at Dartmouth University. Hillary Clinton was the US secretary of state from 2009 to 2013, before John Kerry assumed the post until the arrival of the Trump administration in 2017. An ex-member of the Mujahedin Khalq Organization (MKO) has shed light on Saudi Arabia’s financial support for the anti-Iran terror group, explaining how the Riyadh regime funneled, in one instance, gold bars and other valuables worth hundreds of millions of dollars to the notorious outfit. 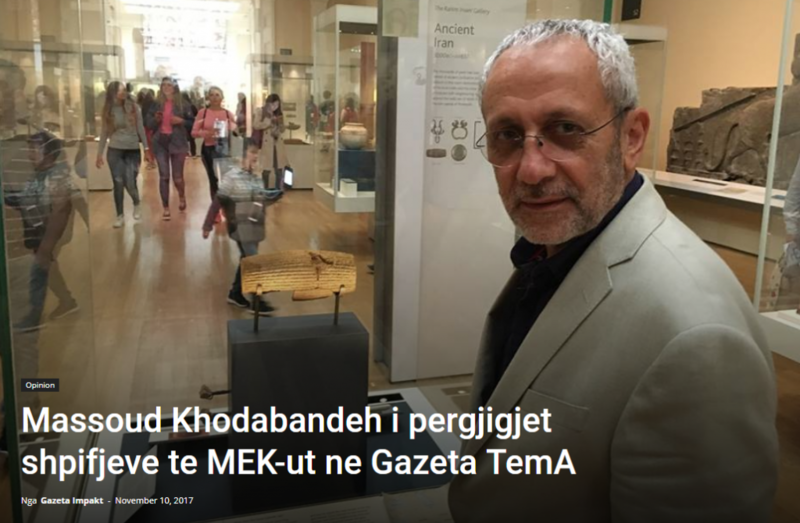 Massoud Khodabandeh, a former high-ranking MKO element, made the revelations in an interview with Jordanian news website al-Bawaba released on Tuesday. He said officials of the Saudi spy agency, formerly led by Prince Turki bin Faisal Al Saud, gave the MKO three tons of solid gold, at least four suitcases of custom Rolex watches as well as fabric covering the Ka’aba, Islam’s holiest shrine. Khodabandeh personally oversaw the transfer. Gold and other valuable commodities, he added, were later sold in black markets in the Jordanian capital, Amman, via Saudi-linked businessmen and the money went to offshore accounts linked to the MKO. Khodabandeh also noted that he had himself smuggled three truckloads of gold bars from Saudi Arabia to Baghdad with the help of two Iraqi and two Saudi representatives. The ex-MKO member further unveiled that some of the money the organization received from its dealings was allocated to the purchase of military vehicles. 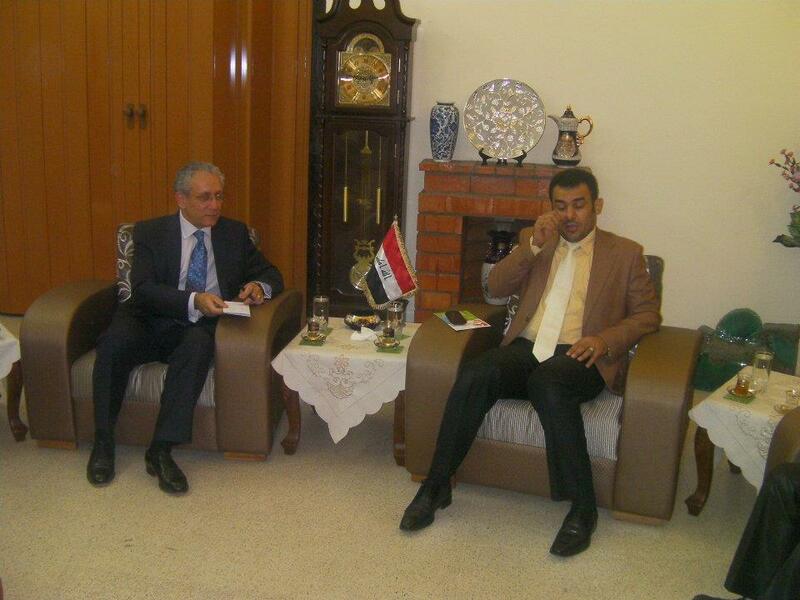 Khodabandeh also stressed that in addition to regular payments from former Iraqi dictator Saddam Hussein, the MKO also received sums from Iraqi oil exports to Britain. He explained that after the fall of Saddam, Prince Turki became the terror outfit’s main supporter. “I would say that after the fall of Saddam, the MKO which was then being run by Massoud [Rajavi] under the patronage of Saddam, changed to the organization run by Maryam [Rajavi] under the patronage of Prince Turki bin Faisal Al Saud,” he said. The MKO is listed as a terrorist organization by much of the international community. Its members fled Iran in 1986 for Iraq, where it enjoyed Saddam’s backing. 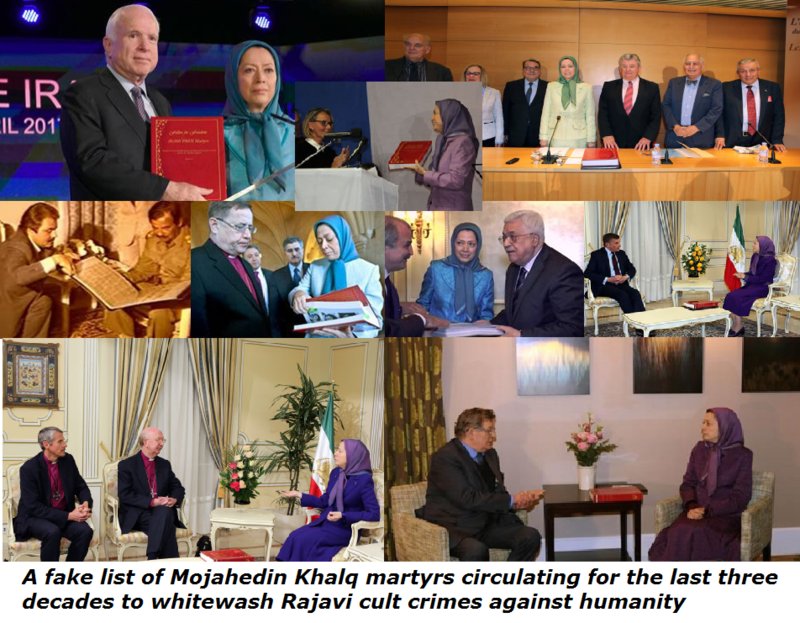 The MKO has carried out numerous attacks against Iranian civilians and government officials over the past three decades. In 2012, the US State Department removed the MKO from its list of designated terrorist organizations. 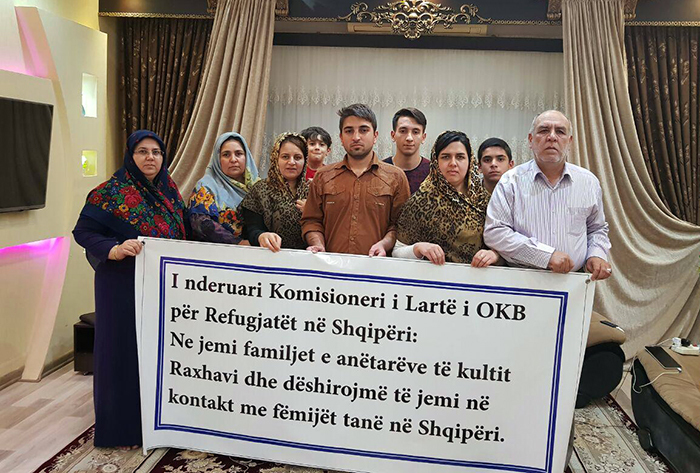 A few years ago, MKO members were relocated from their Camp Ashraf in Iraq’s Diyala Province to Camp Hurriyet (Camp Liberty), a former US military base in Baghdad, and later sent to Albania. Elsewhere, the al-Bawaba report said that the US had paid $20 million to the UN Refugee Agency to transfer thousands of MKO terrorists from Iraq to Albania, and had even given Tirana funds to build a military-style facility for the group. President Trump sees the Iran as America’s biggest enemy. And before assuming office, his National Security Advisor John Bolton said US policy should be regime change in Iran. 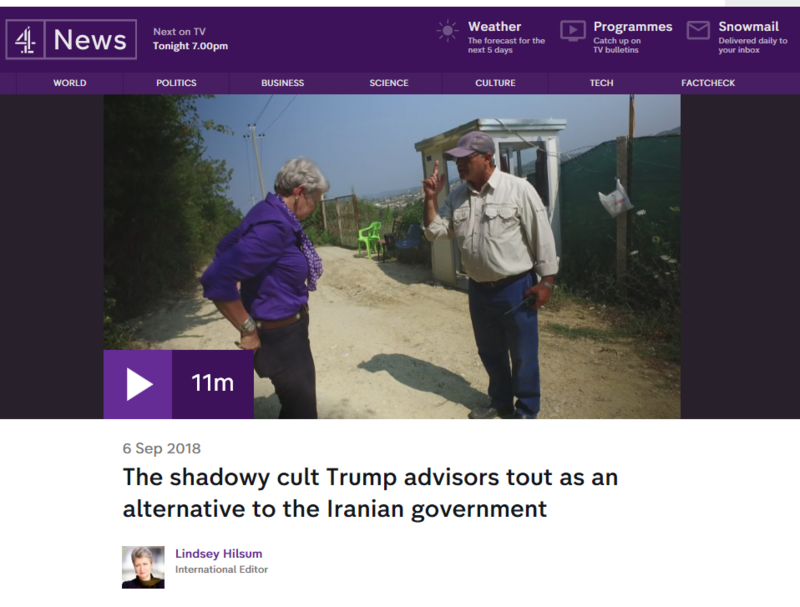 He and other Trump advisers have long touted a shadowy exiled cult as an alternative to the Iranian government. 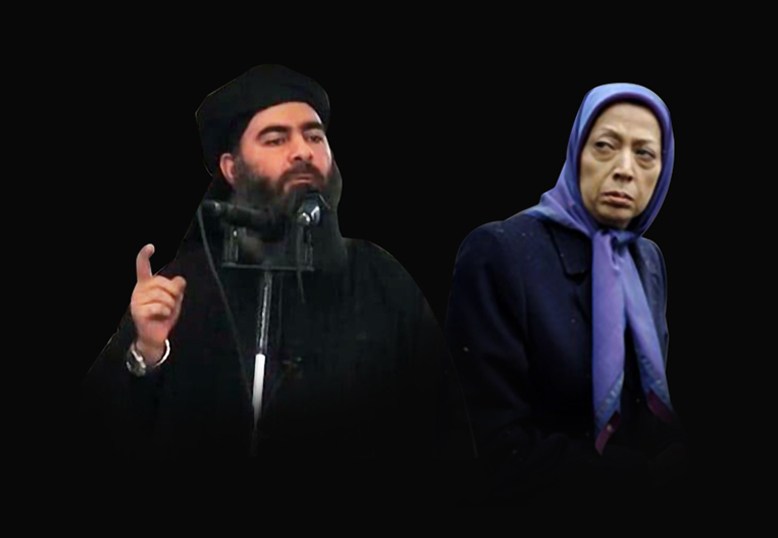 The Mujahedin-e-Khalq (MEK) has had a very active propaganda wing for years, but now they have influence at the highest level. They also have a secretive camp in Albania, 30km from the capital, Tirana. 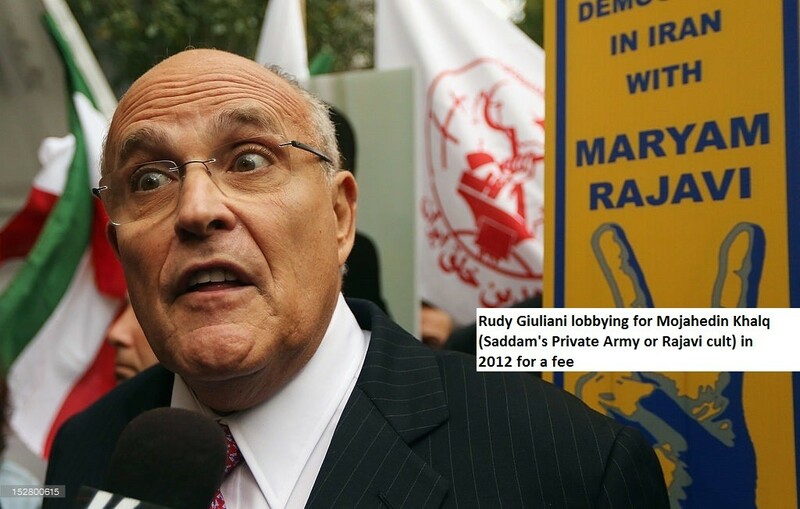 How did a fringe Iranian opposition group with a history of assassinating Americans get so cozy with the likes of John Bolton and Rudy Giuliani? By paying them thousands to speak at its events, where they advocate for MEK-led regime change inside Iran. As the name indicates, action rather than diplomacy now tops the State Department’s agenda toward Iran. Action that will surely include increased sanctions, economic warfare, cyber warfare, inciting protest, and very possibly support for terrorist groups. Not a new repertoire. But Iran has proven remarkably vigilant and resilient in withstanding all these pressures, fending off various terrorist groups on its borders, some cities, and even an attack on the Majlis (parliament). More recently, attempts to subverteconomic protests in the country have come to nothing. Other means are called for. As America pressures the European Union to line up behind its sanctions regime and end trade with Iran, there are indications that this could open another front for confronting Iran. The question for America’s anti-Iran pundits currently is how to engineer distance between Europe and Iran. One way would be if it could be demonstrated that Iranian terrorism has reached Europe itself, a theme that Pompeo himself addresses at virtually every Iran-related opportunity. While rational observers recognise that any such activity would be political suicide for Iran, we are clearly not living in rational times. 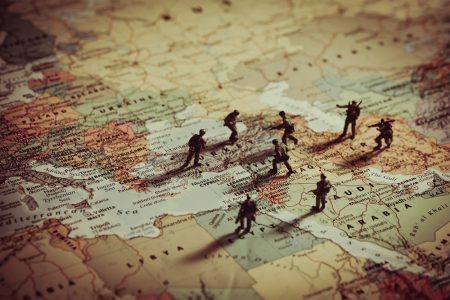 There are signs that the groundwork for a covert false-flag operation have been in place for some time that would blame Iran for an atrocity conducted outside its borders. Such a possibility was hinted at in June when an Iranian diplomat was arrested in Germany over an alleged bomb plot on the eve of President Rouhani’s visit. 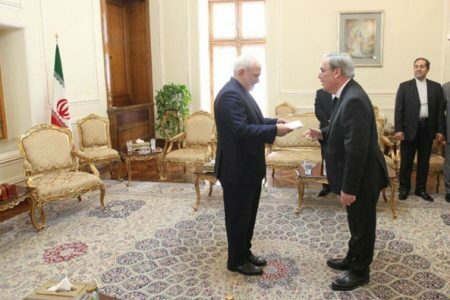 Iran’s Foreign Minister Mohammad Javad Zarif tweeted “how convenient.” Iran claimed that the Belgian couple found to be behind the fake plot were Mojahedin-e Khalq (MEK) activists. The target for the bombing was the MEK rally in Paris which would then presumably be blamed on Iran. How convenient indeed. That the MEK is named in this way is no surprise. 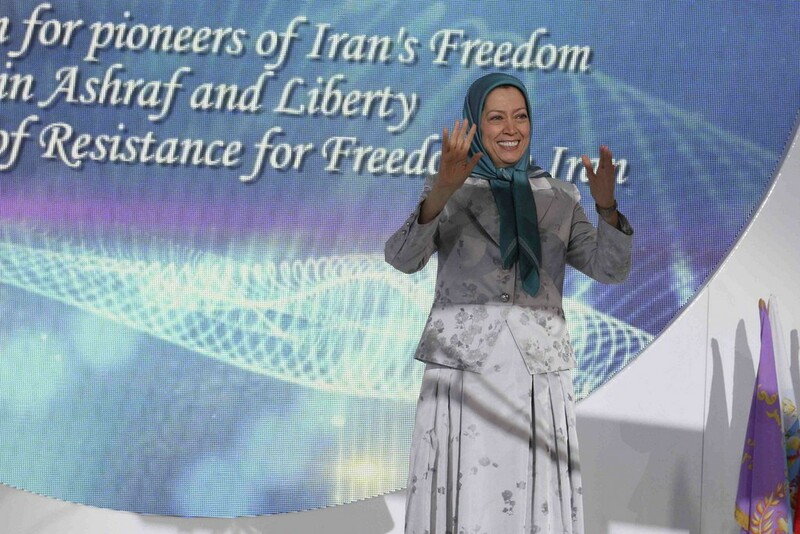 While other terrorist groups have been contained by Iran, MEK has proven tenacious, due in main to the support it receives from Saudi Arabia, Israel, and the U.S. This is also due to its cult conditions which enslave and brainwash its members. 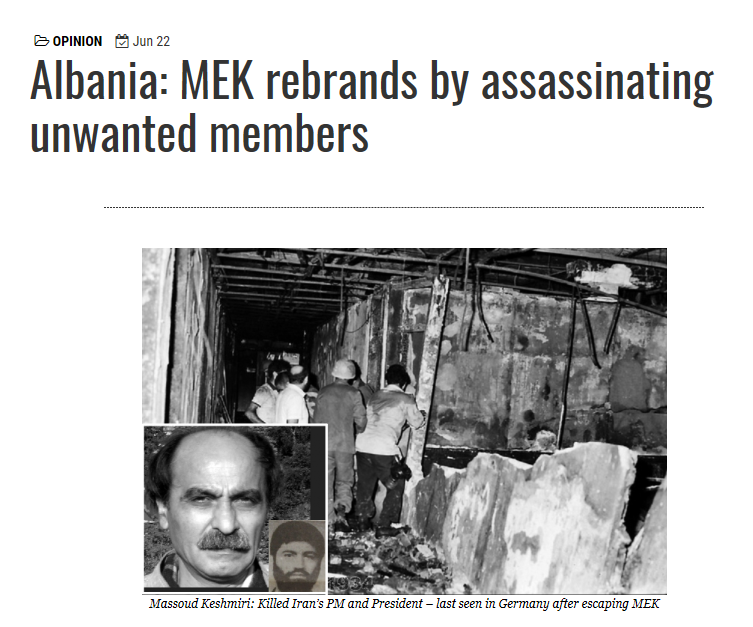 But the fact that MEK is now based in Albania, far away from Iran’s border, might have doomed the group to obscurity if MEK’s violent regime change agenda didn’t so closely coincide with the desires of hawks in the Trump administration. Trump, deliberately or unwittingly, has surrounded himself with MEK supporters. 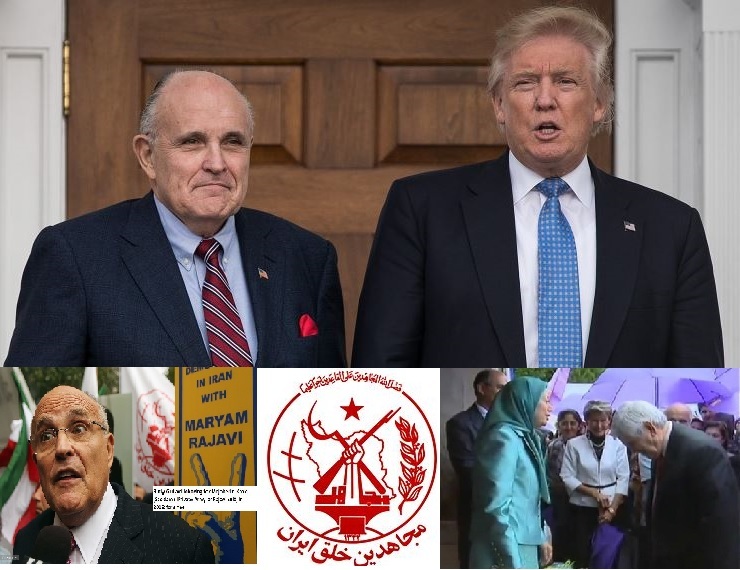 John Bolton, National Security Advisor, is a long-time MEK advocate and Rudy Giuliani, currently tackling Trump’s legal problems, has regularly spoken at MEK rallies. Now with former CIA man Pompeo as Secretary of State and taking a hard-line regime-change stance in all but words, all that all that remains is for an action plan to be put in place. 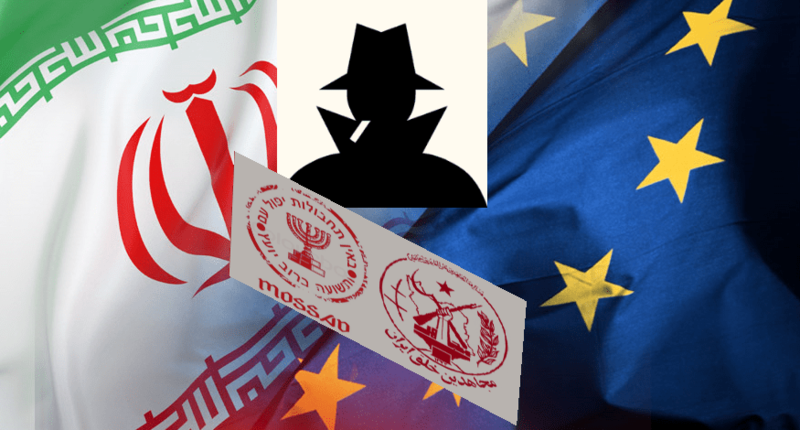 It could be that this is already taking shape in Albania where the MEK has deliberately curated a false narrative through its own websites that Iran is sending agents to attack and kill its members. This narrative is then repeated as established fact by political supporters and paid advocates. 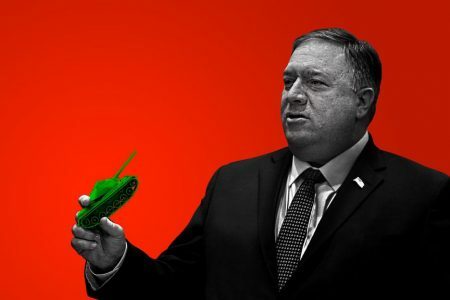 In July, Pompeo repeated ‘news’ of the alleged bomb plot and also referenced the MEK-manufactured allegation that two retired Iranian journalists had been sent by Iran to conduct terrorism against them in Albania. It was MEK itself that falsely tipped off policeto arrest the two innocent men. Building on this, Raymond Tanter, part of a cabal of mostly ex-CIA and former military officials who advocate for MEK, inserted this false information into a long article promoting the group MEK as bringers of peace and democracy to Iran. Nothing could be further from the truth. 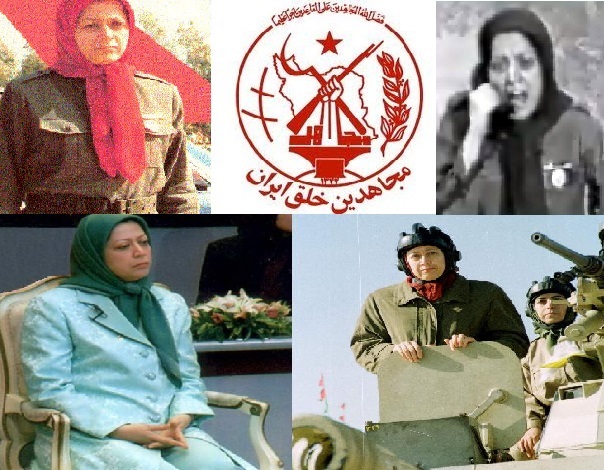 MEK has a long history of covert as well as overt activities aimed at regime change against Iran. 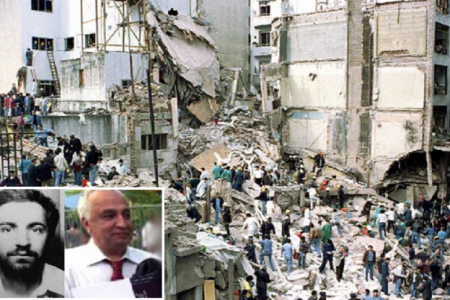 Over the years, when events were blamed on Iran, MEK often insinuated itself in various ways—as it did, for instance, in the 1994 bombing of the Jewish community center in Buenos Aires. After extensive investigation, the primary testimonyimplicating Iran’s leadership came from four high-ranking intelligence officers from MEK—specifically, Hadi Roshan Ravan, the chief witness who not coincidentally also served as the head of MEK intelligence. In 2013, Israel arrested a Swedish Iranian man, Ali Mansouri, who “confessed” to be spying for Iran in Tel Aviv. 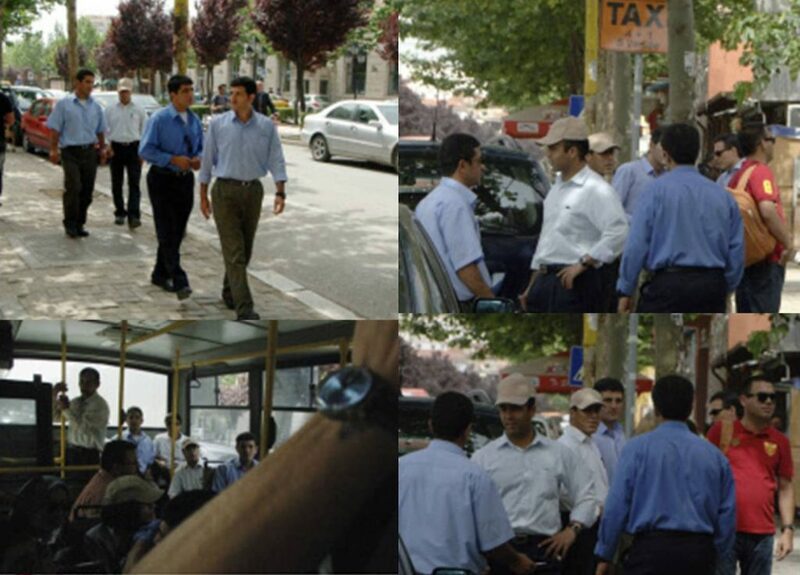 He turned out to be an MEK member. 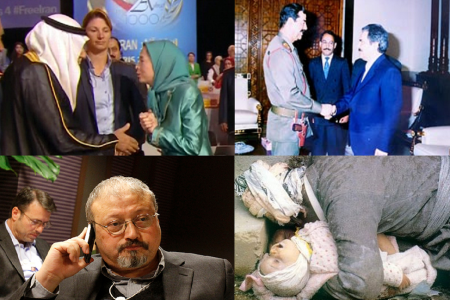 MEK’s role in publicizing intelligence on Iran’s nuclear program and alleged complicity with Israel in the murder of Iranian nuclear scientists is widely known. Whether or not MEK was directly involved in many of such activities or not, its propagandizing role is indisputable. This news, shocking as it is, did not find an audience outside Albania. So far, so local. But it demonstrated the ease and impunity with which MEK uses violence when the outside world encroaches on its secrecy. 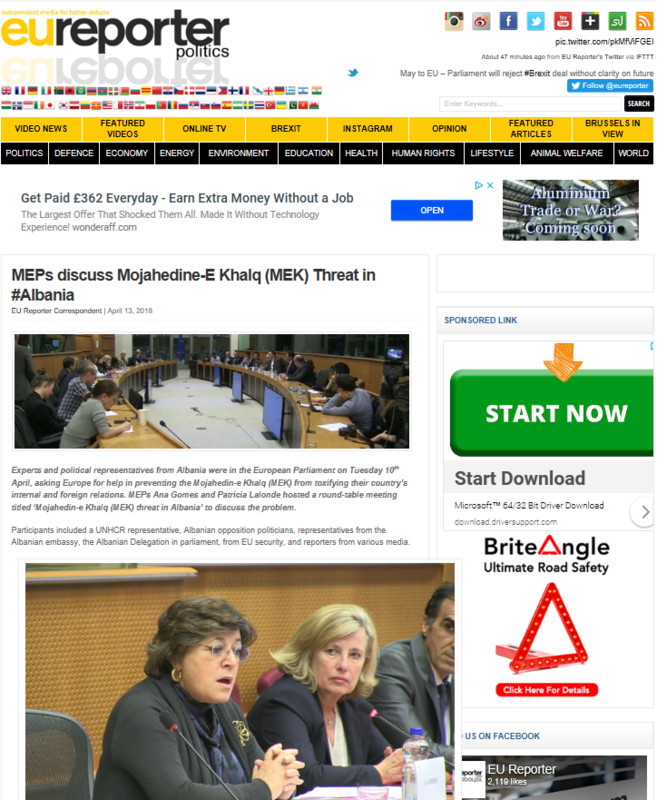 Albanians were even more shocked that their security services tried to hide these events. Interestingly the group’s self-portrayal of victimhood largely serves its own internal dynamics. MEK moved 2000+ members to a closed camp in Manez to prevent more members leaving the group. 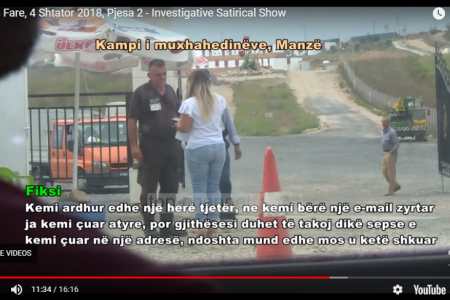 MEK leaders claim that Iran has sent various intelligence agents to Albania plot against them and kill them and the camp is their only protection. While this serves to frighten its own members and stiffen their thirty-year resolve to continue their struggle, it also fits the kind of false narrative that leads to the kind of false-flag operations that could be blamed on Iran. Former CIA Director Pompeo’s Iran Action Group is a sub-group in the State Department answering only to him. This also favors the kind of covert operation with which the MEK is only too willing and able to engage. 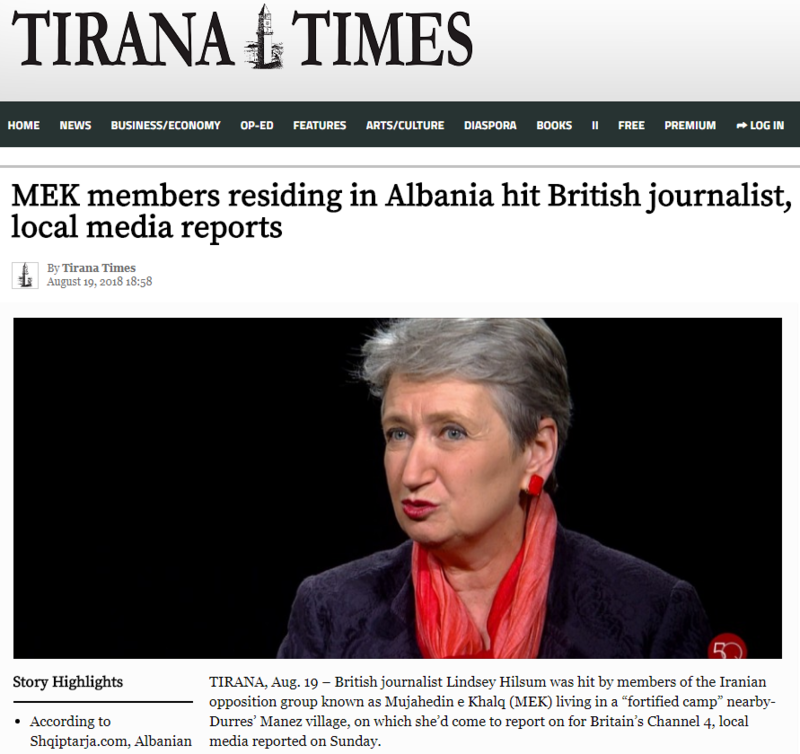 Worryingly, the attacks on foreign journalists could serve to escalate and accelerate secret plans already in place for a false-flag operation in Albania which would be blamed on Iran. 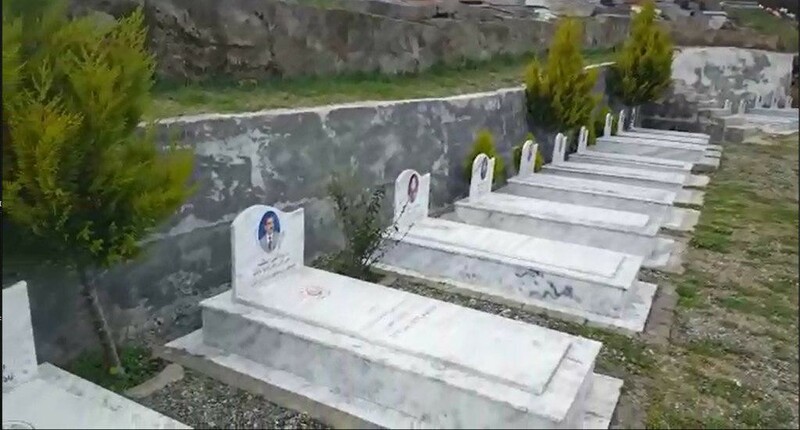 The first victims would be MEK members. The next targets could be Albanian. And this time, in order to convince Europe that Iran is a dangerous sponsor of terrorism, people would die.